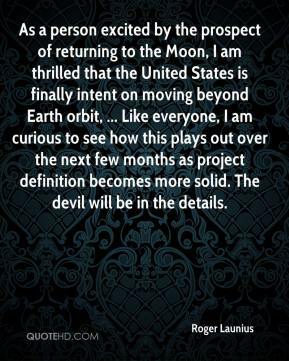 As a person excited by the prospect of returning to the Moon, I am thrilled that the United States is finally intent on moving beyond Earth orbit, ... Like everyone, I am curious to see how this plays out over the next few months as project definition becomes more solid. The devil will be in the details. 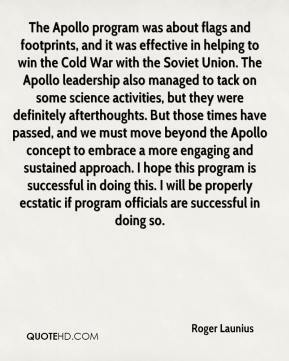 The Apollo program was about flags and footprints, and it was effective in helping to win the Cold War with the Soviet Union. 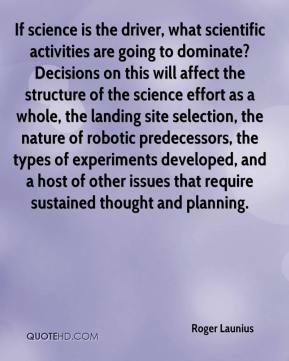 The Apollo leadership also managed to tack on some science activities, but they were definitely afterthoughts. But those times have passed, and we must move beyond the Apollo concept to embrace a more engaging and sustained approach. I hope this program is successful in doing this. I will be properly ecstatic if program officials are successful in doing so.